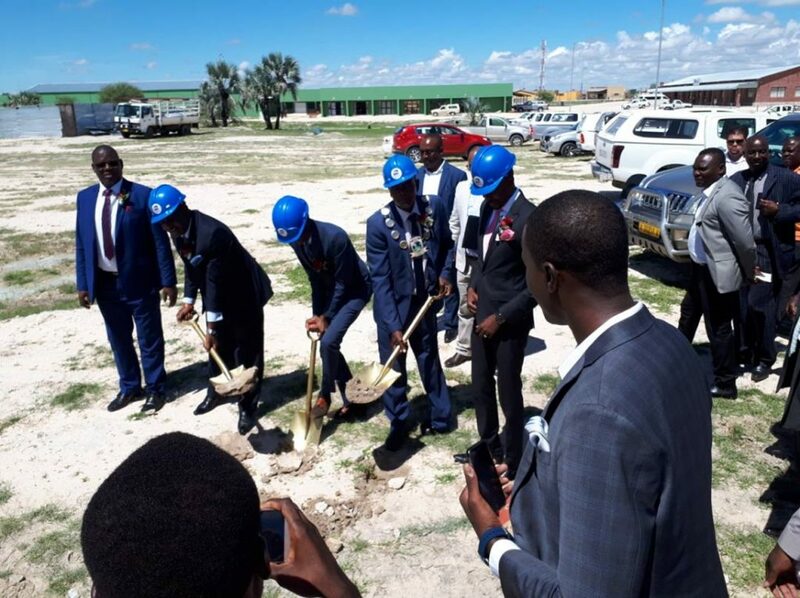 PUPKEWITZ MEGABUILD is very excited to announce that on 7 April 2018, the groundbreaking ceremony marking the beginning of construction on 50 affordable houses took place in Okahao, Omusati Region. The houses are being constructed by the National Housing Enterprise (NHE) in conjunction with PUPKEWITZ MEGABUILD’s joint venture partners Lithon Project Consultants and Tete Investment CC. 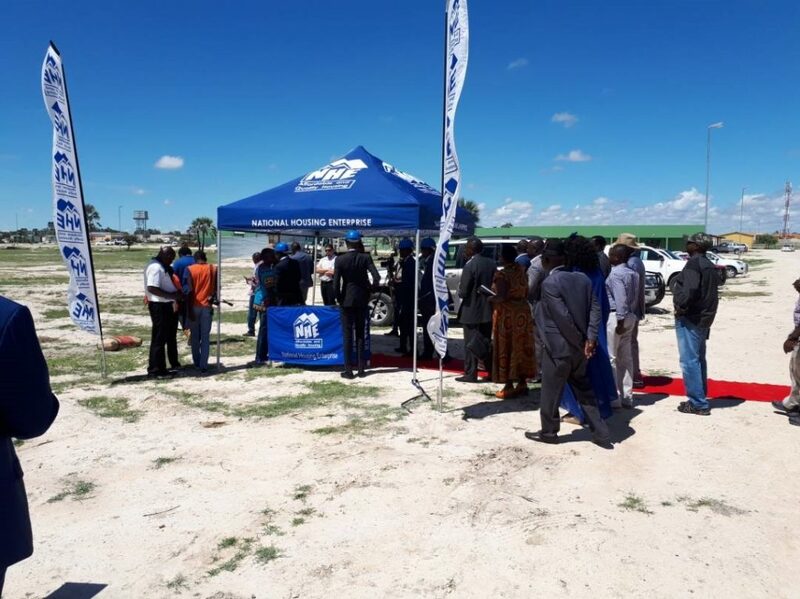 NHE’s mandate is to deliver affordable and quality housing to Namibians. In order for NHE to market and eventually sell these houses, they required a turnkey solution, which offers project financing and construction. The joint venture agreement with our customers was formed in order to deliver the 50 houses on a turnkey solution. PUPKEWITZ MEGABUILD customers have been negatively affected by the economic downturn and are not able to provide financing for these projects. PUPKEWITZ MEGABUILD’S strategy remains investing in turnkey projects especially in these challenging times to help grow the Namibian economy. In offering financial resources (loans), we are able to create work for our customers and their employees and ensure that they continue sustaining and growing their businesses. PUPKEWITZ MEGABUILD greatly values the opportunity to contribute to the success of our customers, NHE and the Namibian community at large. We wish our teams all the best with the project!